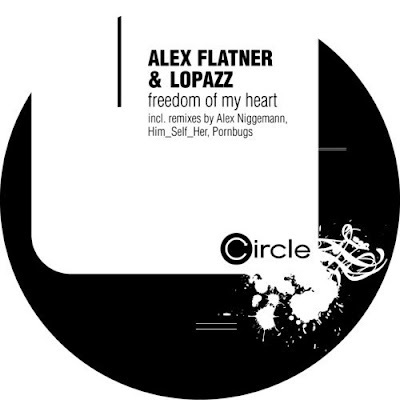 Since early 2012, Alex Flatner and LOPAZZ (best known for the quality, avant-garde club music he's released on labels like Get Physical, Cocoon, Pokerflat) have been locked in the studio at every available opportunity creating what will be their debut artist album. Every once in a while an interesting taste of their creative juices emerges, the last being the mighty 'Our Love', which was released on Get Physical at the end of April. Now comes another exciting reason to get cheerful in the form of 'Freedom Of My Heart' on Circle Music. Him Self Her have a reputation for producing house music with feeling. Few electronic artists have experienced such a meteoric rise into the spotlight as this male/female production duo consisting of Leon Baggotts & Claire Spooner, from the unlikely and not remotely hip, city of Leicester, UK. Their monster hit "Gone Too Long" took the Beatport charts by storm, catapulting them to the front of the pack and it's not hard to hear why here. Their love and respect for the whole history of classic house music gives them a musical palette that marks their remix of 'Freedom Of My Heart' out for immediate attention.